Little Problems was the first company I ever featured on my blog so I'll always have a special place in my heart for the sorority girl run company. 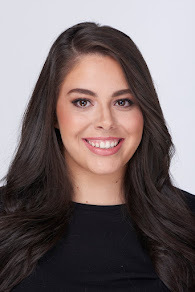 Lauren is such a gem and such a business woman, I'm always impressed with her work so when an email from Ms. Lauren popped up in my inbox this week, my ears immediately perked up. Little Problems recently relaunched this week with a brand new design, logo and some new products for the sorority girl in your life. If you don't know, Little Problems is a company that sells accessories for your Big or Little with cute little slogans and sayings. The story of Little Problems is simple: it started off as a Twitter account, using the hastag #littleproblems with "problems" relating to being a sorority Little sister. It soon developed into a webstore and now it's a sorority phenomenon. The ladies of Little Problems are well educated, well respected and have a work ethic like no other. They're passionate about what they do and it shows through their work. I'm obsessed! 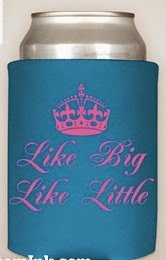 This time around, Little Problems has new products such as new koozie designs, stadium cups, and even sunglasses. 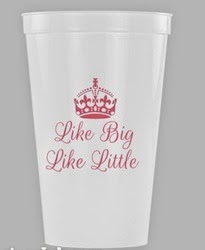 They're perfect for your big or little, they'll be sure to adore them! If you haven't checked out Little Problems, be sure to do so now!